Free family tree software for WINDOWS - HEREDIS, your family history tree start here! I want to download the free Heredis 2019 Demo for WINDOWS! Get it for MAC? I have read the information below concerning the demo version of Heredis 2019 for Windows. After form has been submitted, click the download link. When the download is complete, double-click the InstallHeredisWorld2019.exe file. 1. 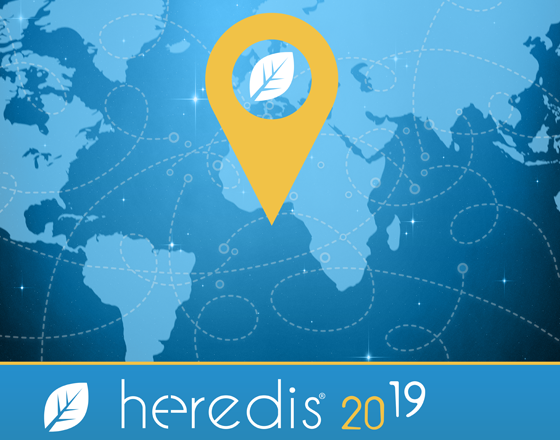 Double-click the Heredis 2019 blue leaf on your desktop to launch the software. 2. Click ‘Try’ to explore all the features of the software. This demo version of Heredis 2019 for Windows is free and works without time limit! The demo version allows you to create as many free family tree files you want provided they do not exceed 50 individuals per file. You may also import and export GEDCOM or Heredis files of all sizes to see how your family file is treated and discover the different modes of data presentation. When the open file contains more than 50 persons, printing and modifying data are not available. However you can publish your family tree to Heredis Online regardless of its size. You may then continue once you have acquired the full version of Heredis 2019 for Windows.